Podomatic | Podcast - Success Live - How To Get and Stay Unstuck! Henry David Thoreau once wrote, "it is time that we had uncommon schools, that we did not leave off our education when we begin to be men and women." Through the words and videos of this podcast you are about to enter an "uncommon school," one designed to provide you with valuable information that will fill a large gap in your life and your instructors are, without question, the greatest faculty ever assembled to teach the subject of success and how to achieve it. Napoleon Hill, Dorothea Brande, Charles F. Haanel, Wallace D. Wattles, Genevieve Behrend, Thomas Troward, James Allen, Russell H. Conwell, William W. Atkinson, Theron Q. Dumont, Ernest Holmes, Mildred Mann, Kahlil Gibran, Marcus Aurelius, -these are only some of the brilliant minds who have been gathered together for the first time in history in the fulfillment of the dream I have had for many years-to publish the ultimate audio success library were only the acknowledged masters of that subject were made available to counsel and teach and guide you. You will be presented with a myriad of success ideas, suggestions and concepts. History is filled with stories of individuals who dated a new era in their lives from a single idea. May your name, youthful listener, eventually be added to that already impressive and glorious list. But-it's all up to you. No one else can live your life for you. No one else can succeed for you! 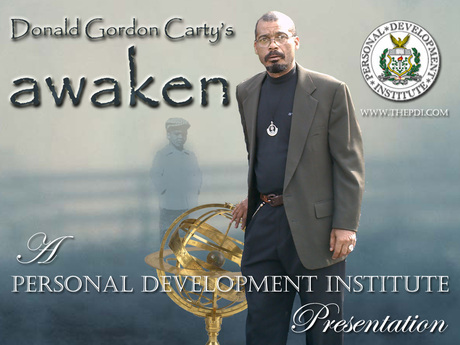 Donald Gordon Carty, is an internationally known author, personal training and development consultant, motivational speaker, and the president of the Personal Development Institute (www.thepdi.com), a think tank whose purpose is to awaken (www.awakenforums.com) people to a new way of thinking about what it is to be human and what it takes to make life and work more rewarding and fulfilling. Donald has presented hundreds of speeches, seminars and workshops across North America, handing you the tools required to excel in business management, personal development, and sales . His experience as a leader and highly touted personal development expert translates into dynamic, and profound presentations, that will instruct you professionally, touch you personally, and inspire you to reach for the highest within yourself. As a result of over thirty years personal and business success, along with many years of community service, Donald has been awarded numerous commendations and awards from civic, community and business organizations and institutions, including the Federal Government of Canada. 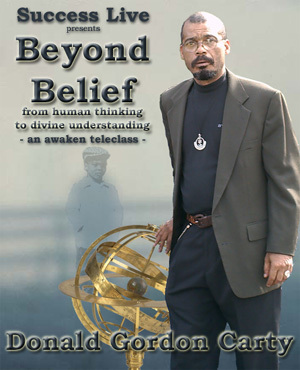 Donald Gordon Carty has authored and published hundreds of articles and five books "Within You is the Power", "Your Personal Road Map for Success", "How to Wake Up and Live", "The Master Key System Workbook", "Your Invisible Power and Attaining Your Desires Workbook", "The Science of Getting Rich", produced an audio CD "Meditations and Spoken Word Inspiration" heard in 122 countries, and is also the creator of a number of training programs, and multicultural presentations. Rev. Carty believes that life is filled with possibilities waiting to be realized, rich with meanings calling out to be understood. Donald's commitment to human potential and development and his work involving the assimilation of diverse interests has been the most fulfilling part of his professional and personal life. 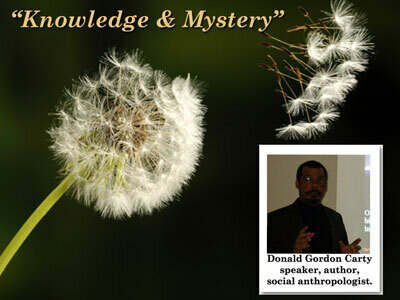 Donald Gordon Carty is a scientist, philosopher, spiritual explorer, socio-cultural anthropologist, speaker, and author. Created developed and founded the Personal Development Institute © and awaken Forums - dare to envision, believe and create™. 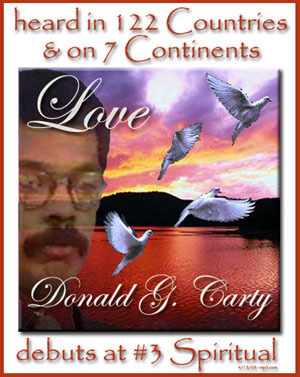 Combining an atmospheric & ethereal blend of musical ambiance , the meditations & spoken word inspiration of Donald Gordon Carty are a wonder-send to all who sample his beatific & spiritual art. 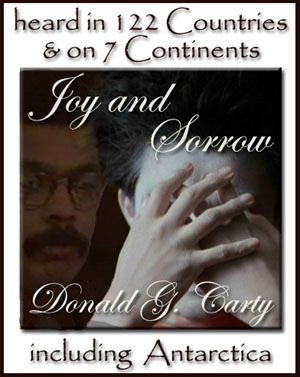 "Joy and Sorrow" verily suspends us like scales between the heights and depths of our soul. Ever present within the Light and the darkness of Truth. 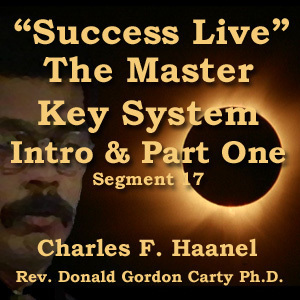 The Master Key System; Introduction & Part One. One of the great works that inspired "The Secret" and the "Law of Attraction' With The Master Key System, you don't have to read hundreds of books... just one! Now, for the first time since Charles Haanel first introduced this enlightening home study course material, you can now study it the way it was originally intended and distributed: one lesson per week. We do not need to laboriously shovel the darkness out of a room before letting in the light. All that is necessary is to turn on the light and the darkness vanishes. As you progress through the 24 "The Master Key System" lessons, follow the instructions and master the exercises you will begin to show the characteristic signs of a general Awakening. You will find optimism shining through the mist of doubt and unrest. The secret to all you need to get what you want out of life; Health, Wealth, and Love, is already within you. Now is time to open It! From the Workbook "The Master Key System" by Charles F. Haanel and Donald Gordon Carty.Click here for the complete text and more of this classic. For complete library listings of PDF books to be used in these lectures, please go to the Success Library. These ebooks can be purchased for only $1.99 each and can be downloaded immediately. Stress is a normal psychological and physical reaction to the demands of life. A small amount of stress can be good, motivating you to perform well. But multiple daily challenges, obligations,traffic,deadlines and paying bills, can push you beyond your ability to cope. What if the mind had the capacity to cure our modern-day epidemic of stress? Combining an atmospheric & ethereal blend of musical ambiance ,“On Love” indeed spotlights the most powerful force in the cosmos. Whether one be a follower of the various faiths of this world or other worlds , the design of Donald Gordon Carty's work is enthralling. Take a moment & let the power of his work draw you into a new reality. Imagination by Donald Gordon Carty - Albert Einstein said: “Imagination is more important than knowledge.” But he goes on to say, “For while knowledge defines all we currently know and understand, imagination points to all we might yet discover and create.” This video will take you on visual journey using the metamorphosis of the butterfly to illustrate the power of “imagination”. Enjoy the video illustration and remember; “The man who has no imagination has no wings” Muhammad Ali. 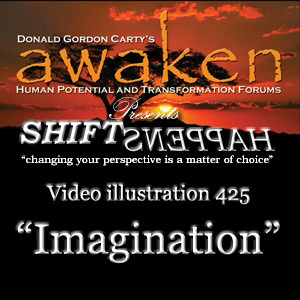 Shift Happens Series with Donald Gordon Carty - "Changing your perspective is a matter of choice"
Perspective is part of what makes us human - it can always be changed, shifted, adjusted as new information comes in or as we make new choices. Choice is perhaps the most powerful concept available to anyone interested in making changes in their life. This idea of perspective, of choice, can be applied to our lives in a myriad of ways. 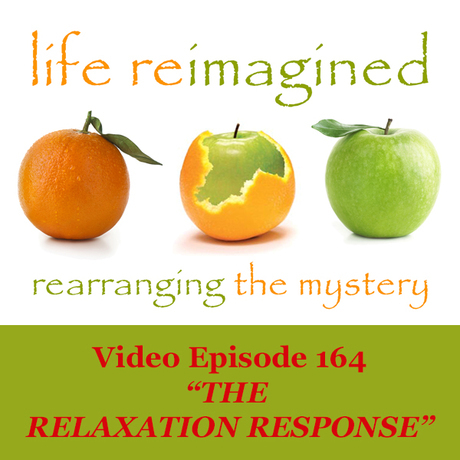 In this new series we will explore some of the ways in which Shift Happens. Whatever may be said in praise of poverty, the fact remains that it is not possible to live a really complete or successful life unless one is rich. No man or woman can rise to their greatest possible height in talent or soul development unless they have plenty of money; for to unfold the soul and to develop talent they must have many things to use, and they cannot have these things unless they have money to buy them. 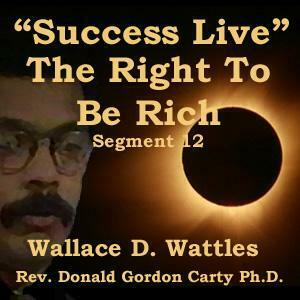 From the Workbook "The Science of Getting Rich" by Wallace D. Wattles and Donald Gordon Carty.Click here for the complete text of this classic. Most people don’t take personal responsibility for their present results. They honestly believe the cause of their current results lies outside of themselves, due to conditions or circumstances they have no control over. The key is to understand that you are responsible for everything in your life. EVERYTHING. At some level - consciously or unconsciously, you attracted every person, every job, every idea, every illness, every joy and every bit of pain into your life. We generally let our outside world control our inside world. We have to reverse this. Our beliefs dictate what we see! We’ve got to let the inside world take charge of our outside world! The ‘Beyond Belief’ teleclass will examine personal development and spiritual growth by exploring a wide variety of ways in which to change, grow, and achieve one’s creative potential. The focus is on the discovery of self and the authentic search for meaning in one’s own life through a collection of uplifting and sometimes spiritually challenging metaphors, paradigms of reality, fundamental world views, and conceptions of the nature of being human. Donald Gordon Carty will serve you at this telecast as a sort of catalyst; just as, hydrogen and oxygen will react to form water, this reaction will occur much more quickly (and at a lower temperature) if platinum is present as a catalyst. Donald will use his skills and techniques to induce a sort of spiritual alchemy on the mind and soul, to help you see the contradictions or disconnects that block you from the discovery of your true self and your potential. 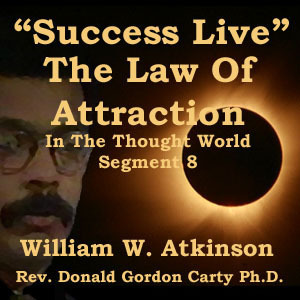 Donald Gordon Carty is a scientist, philosopher, spiritual explorer, author and president of the Personal Development Institute. He is also a man on a mission; to awaken people to a new way of thinking about what it is to be human and what it takes to make life and work more rewarding and fulfilling. Please visit the Personal Development Institute at http://thepdi.com for more Personal Development Resources. From the Book "Thought Vibration" by William Walker AtkinsonClick here for the complete text of this classic. As founder of Awaken, Donald Gordon Carty collaborates with dreamers and innovators who specialize in the field of developing and unleashing personal creativity. Convinced that dreamers and visionaries change the world, Awaken serves humanity through its commitment to maximize the creative potential in every individual. Awaken emerges out of a unique philosophy and reflects Donald’s commitment to creativity, uniqueness, innovation and diversity.